Approaching the coast of Florida of a great white shark being monitored because it takes a GPS device attached to the flap is raising more excitement than fear. Nicknamed Katharine, 14 feet long and one-ton shark movements can be tracked on the Internet thanks to the researchers had attached him in August 2013 GPS to track your movements and study their habits. 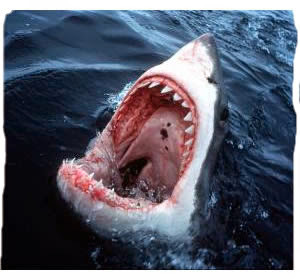 @ Shark_Katharine the social network has thousands of Twitter followers and get encouragement with the tag # GoKatGo. Katharine was last month off the coast of Georgia, before traveling south to close to less than two miles from Miami Beach.